The Milk Caramel Delixia® "Alfajorero" was created to combine creativity and taste. With its intense colour and thickness it is ideal for decorations, even the most challenging ones. 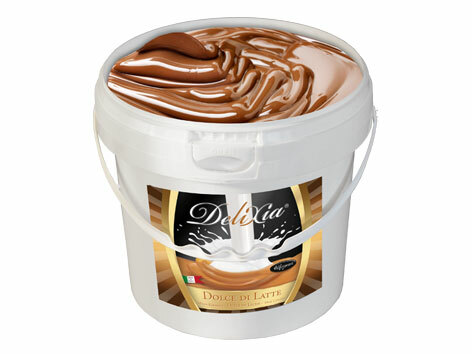 Chocolate and Milk Caramel are a winning combination and Delixia® can be used in bonbons, bars and praline.